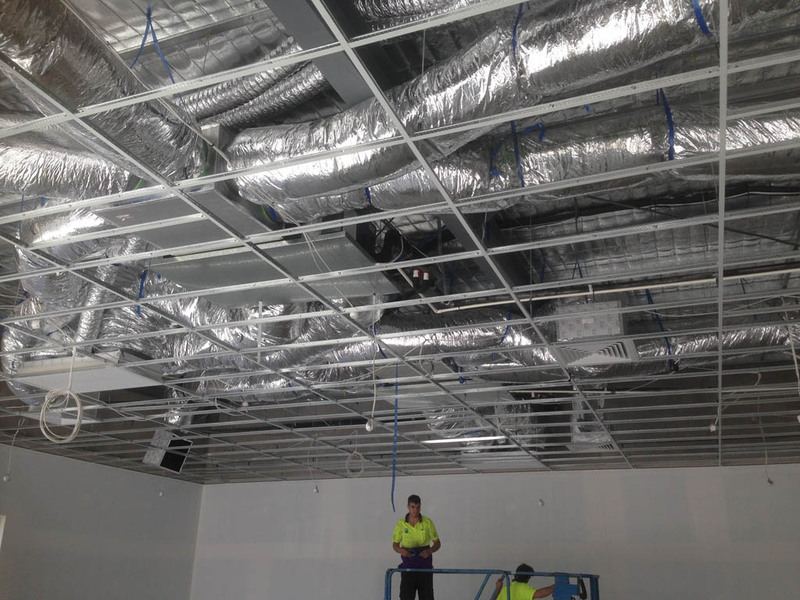 The Cool Shop is your business’s destination for Sunshine Coast commercial air conditioning. We are a supplier of Daikin commercial air conditioning, with a range of state-of-the-art products to provide year-round, reliable comfort for your commercial space. Daikin VRV (variable refrigerant volume) is an energy efficient climate management solution, commercially applied to maximise comfort and control. Commercial VRV air conditioning systems integrate cutting-edge inverter technology allowing complete control over a building. At The Cool Shop we specialise in working with construction companies and builders, large and small. 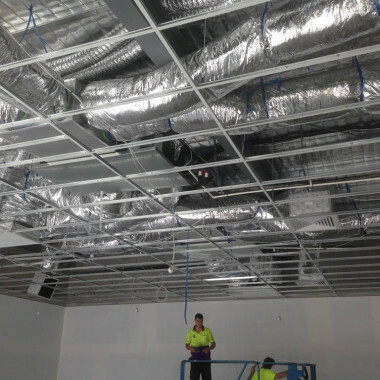 Like our range of domestic air conditioners, we deliver high-quality commercial air conditioning systems and solutions for Sunshine Coast industrial projects of all sizes. The Cool Shop has a proven track record for delivering great results on significant projects, such as Verve on Cotton Tree apartment complex. We installed Daikin ducted air conditioning in all the complex’s apartments from the ground floor right through to the building’s penthouses. Our Daikin VRV systems allow precise room temperature control. Indoor units have electronic expansion valves continuously controlling refrigerant flow rates. By doing this, the VRV commercial air conditioning system maintains a consistent room temperature without temperature fluctuations that can occur with a conventional ON/OFF control system. The refined PID control maintains room temperature to within one degree Celsius of the set temperature. Switching losses or power surges are reduced by using a combination of Daikin inverter and non inverter scroll compressors. And the commercial air conditioning system ensures standby capacity by using multiple Daikin four-tonne scroll compressors. Aero fitting grille and aero spiral fan – creates a compact, low-noise fan with generous air flow. DC fan motor – offers greater efficiency, particularly in low-speed operation. Sine wave DC converter – smoother motor rotation and better motor efficiency. E-Pass heat exchanger – improved heat transfer thanks to optimised path layout of the heat exchanger. This delivers better exchanger efficiency. Reluctance brushless DC compressor – provides significant increases in efficiency compared to conventional AC inverter motors.